East Kent Mencap charity is hoping to open a shop in Thanet later this year, where it will sell items made by its groups. East Kent Mencap’s resource centre in Ramsgate has started new sessions for people with a learning disability to take part in therapeutic activities such as arts and crafts, woodwork and photography. The charity’s Ramsgate resource centre has started running an upcycling session. Members have been taking unwanted products and transforming them into something new. Vinyl records are among the products that the group has upcycled, which they moulded into plant pots. In the arts and crafts session, members have been using donated materials and lavender from the garden to make scented fabric hearts. The group have also been melting down used candle wax and re-setting it to make teacup candles. In the woodwork session, members have been making birdhouses. Any leftover blocks of wood are used in the photography session, where the group have been mounting their photographs for upcoming exhibitions. 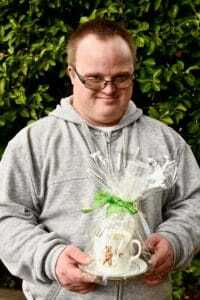 East Kent Mencap sells the items to raise funds for its services. These can be bought at the charity’s Margate and Ramsgate resource centres, as well as at the events it holds throughout the year.